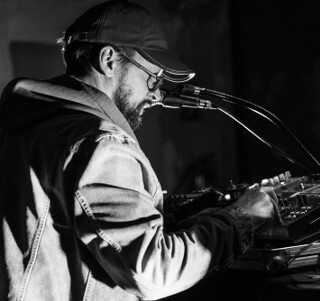 In his concerts, Achim Zepezauer interweaves samples from old records and prepared cassettes to fluent sound pieces by sending the signals through his electric pedalboard. He pursues the goal to ignore expectations and therefor improvises in the best sense without the borders of genres in mind. Every concert is a search for sound between tonal and atonal soundscapes, rhythms, scraps of words, abstract and concrete sounds. By invitation Zepezauer follows the concept of remixing concerts of other artists. He records their live-sets played before him and uses the captured material strictly as a sound source for subsequently generating a completely new concert from it. On other occasions zepezauer sets films to music. Choosing either his own more experimental short films or older silent movies and adds to film and music another dimension.